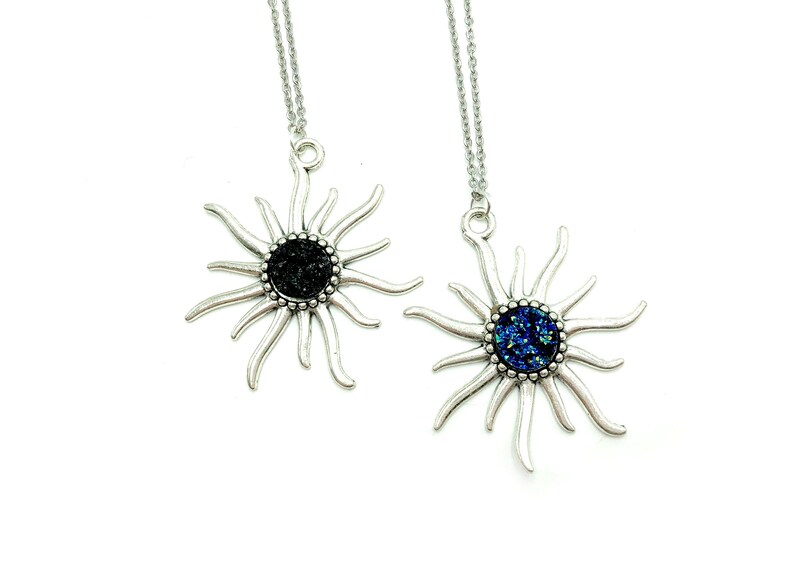 These beautiful suns feature resin faux druzy centers in blue and black. Lead and nickel free. 16 inch chain with 5 inch extender.